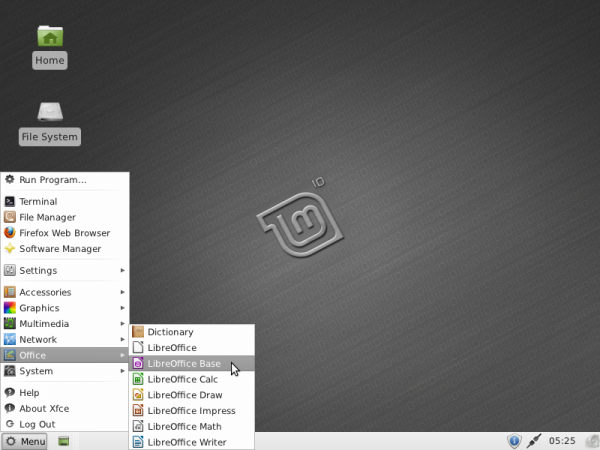 LMDE Xfce is the second Debian-based edition to be released. 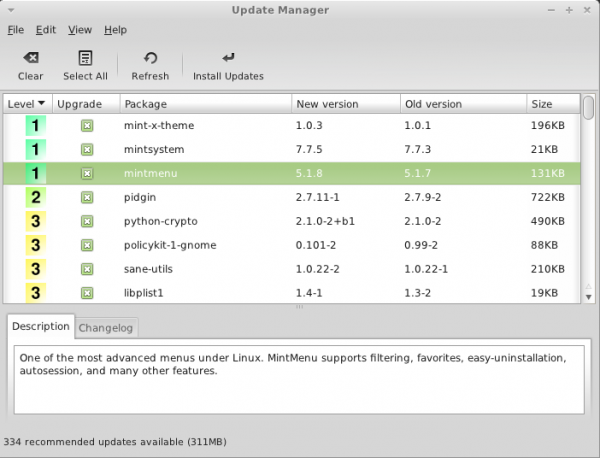 The first (see Linux Mint Debian Edition review) is powered by the GNOME desktop environment. 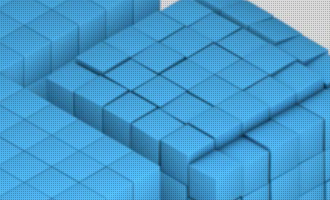 This article presents a detailed review of LMDE Xfce. Installation: The installer of LMDE (all LMDE releases use the same installer) is still a work in progress. 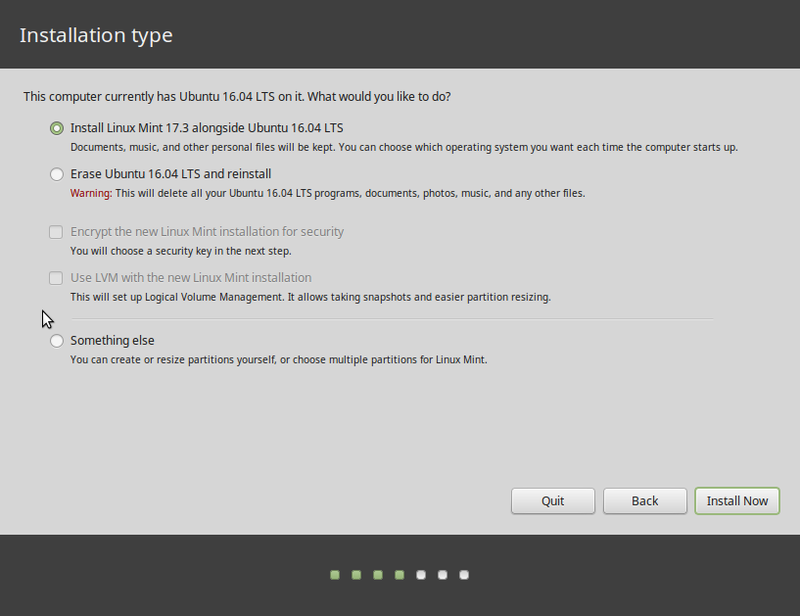 Unlike Linux Mint edition installer, there is no auto-partition and installation mode, so disk partitioning must be done manually, with GParted called on for that task. 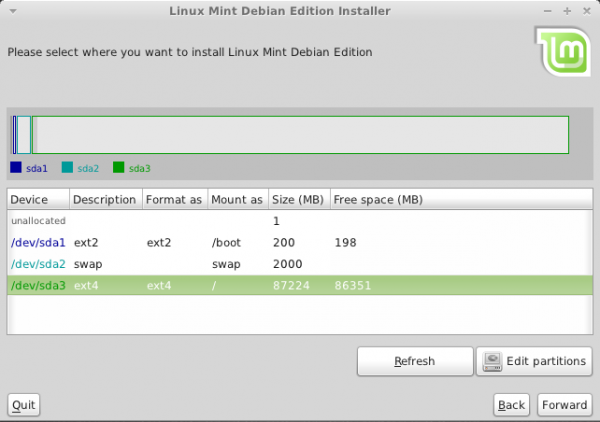 Manual disk partitioning guide for Linux Mint Debian Edition provides a step-by-step for those who might need some hand-holding in doing it. 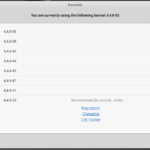 A screenshot of Gnome Partition Editor, GParted. The installer lacks support for disk encryption and LVM, the Linux Logical Volume Manager. Btrfs, the B-Tree File System is available as a file system option, but every installation I made on a btrfs file system failed with the error message shown in the image below during booting. 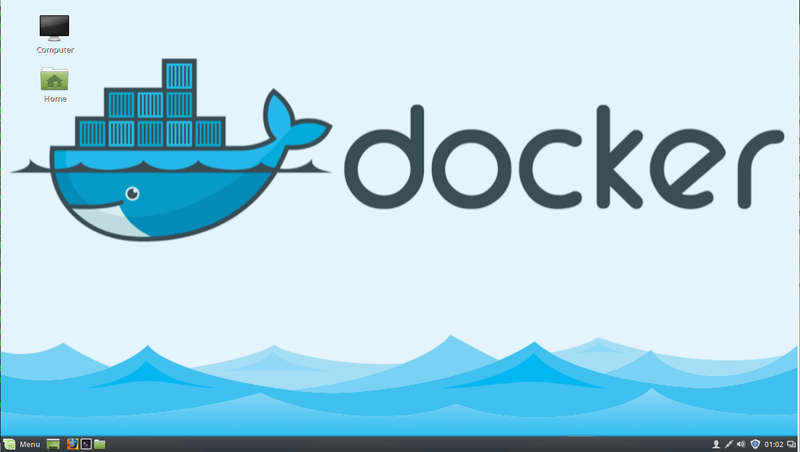 Desktop: LMDE Xfce ships with Xfce 4.6.2; Xfce 4.8.1 is he latest stable version. Out of the box, it is a lot more usable than Sabayon 5.5 Xfce. Xfce Menu is the default menu style, but mintMenu may be used instead by adding it from the XfApplet window. 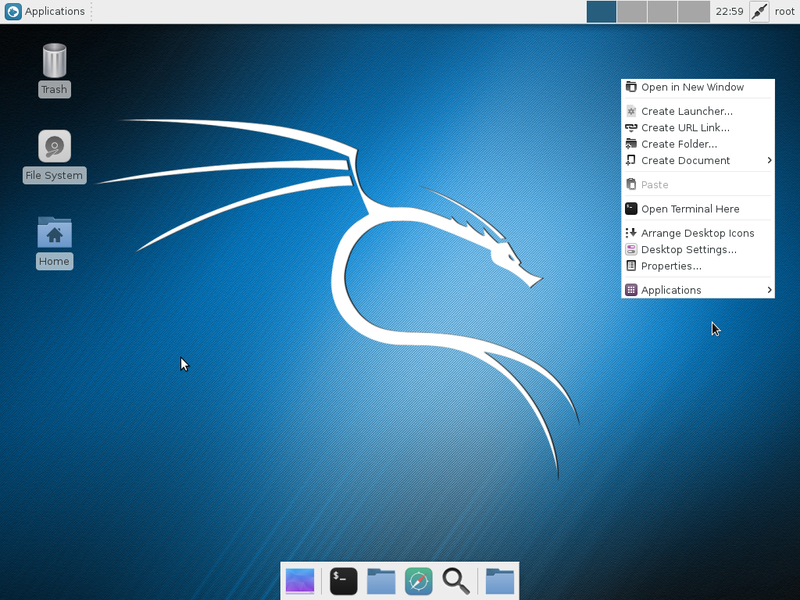 See a screenshot of the desktop with mintMenu here. Aside from the applications listed above, there are the standard desktop accessories and system utilities, and just like the Linux Mint editions, there are no games installed. Firefox (3.6.13) is the default and only browser installed. The latest stable versions of Chromium and Opera browsers are in the repository. Adobe Flash plugin and Sun Java JRE are installed. Totem is the default video player, and with libdvdcss installed, it will play encrypted video DVDs. The installable version of XBMC, the most popular media center application for Linux and BSD desktop distributions, is 10.2, which is the latest stable edition available. Moovida 1.0.9 is the other media center application available in the repository. The latest stable version, Moovida 2.0, is not available for Linux. Skype 2.1 is in the repository. Skype 2.2 beta has been released. 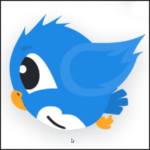 PlayOnLinux, a Wine frontend, is in the repository. If installed, PlayOnLinux makes it possible to run Windows games and applications. 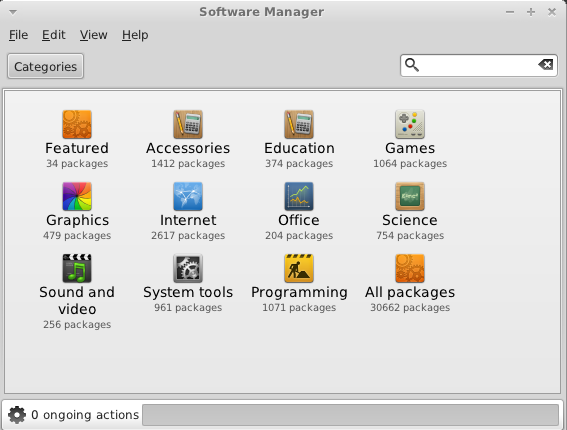 Package Management: LMDE Xfce ships with two graphical package managers – Synaptic and Software Manager. Synaptic is not as sleek as Software Manager, but it has a lot more features. 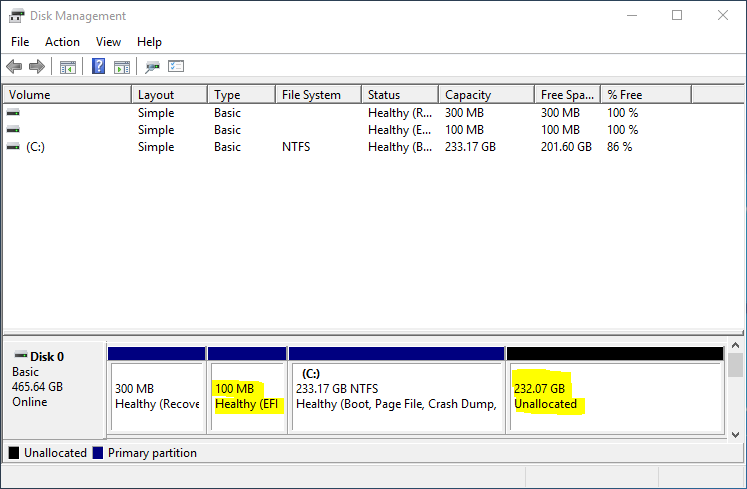 Aside from been able to install and remove applications, its history feature makes it possible to view a history of installed, upgraded and uninstalled applications. Starting Synaptic requires authentication, so authentication is not required before an application is installed. 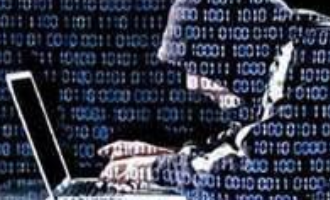 In contrast, Software Manager will start without authentication, but you will be required to authenticate for each application you need to install. 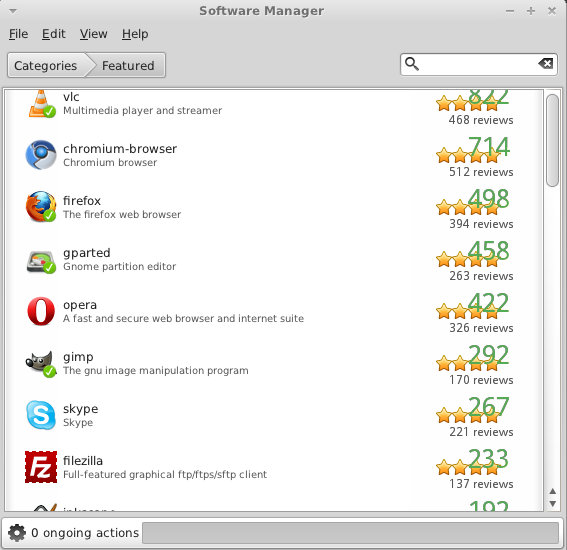 The main window of Software Manager. Featured section of Software Manager showing some of the installed and installable applications. Out of the box, the system is configured to check for updates daily and notify you if there are any available. While updating a test installation, the following dialog window opened. The problem I have with a dialog of this sort is this: How is a new user, someone with no knowledge of how the system works, supposed to know what to do? Would like to know wich one is less hardware/memory comsuming: LMDE XFCE or LMDE GNOME? 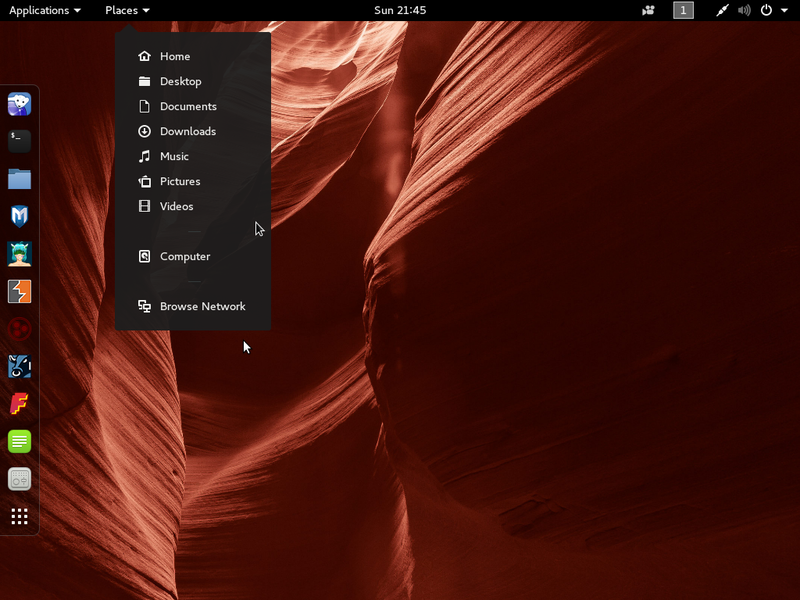 Do you think worth beting in Gnome2? 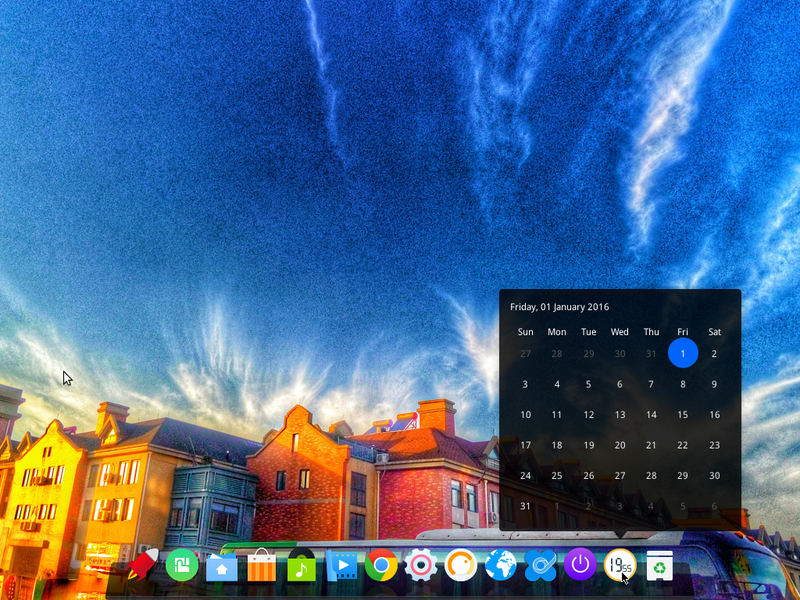 Just from experience, without having any hard numbers to throw at you, it should be Xfce. But that comes at a price,; in terms of features, it’s still in the 20th Century. Normally one would think that an XFCE distro would use less memory/etc than Gnome2.x, however The LinuxMint team has found it very difficult to keep their XFCE distribution down to <650 or even 700MB. So with LMDE the XFCE edition uses mostly Gnome bits and pieces, meaning that the desktop/window manager may use slightly less than Gnome 2.x, but the programs are much the same and will use much the same hardware. One might wish to go through the installed software and replace it with more XFCEish programs, but that's a LOT of work, and could break your system just as easily as make it better. I know, I've tried a number of times. 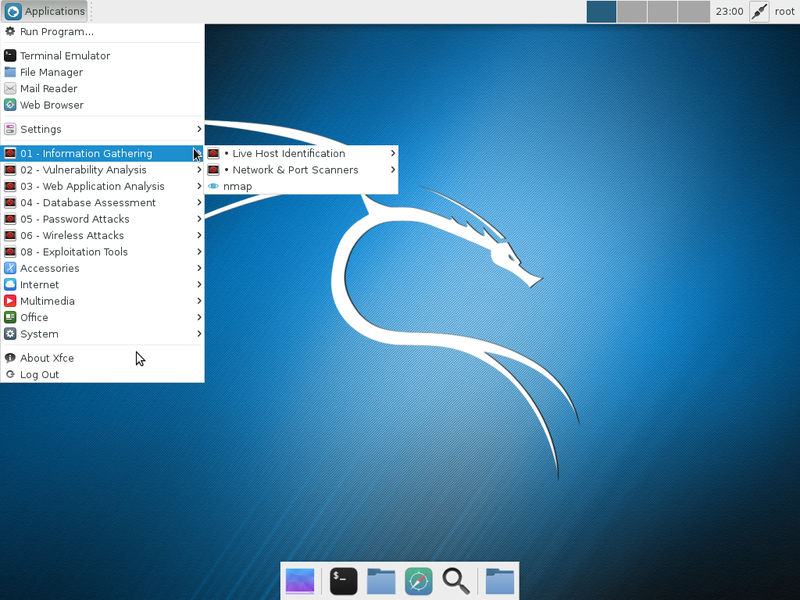 I installed and I’m using it as my main distro. Fantastic! Great Job! And this is coming from a long time Ubuntu User that has switched from the Unity Mess the community has. LMDE is not for “someone with no knowledge of how the system works”. 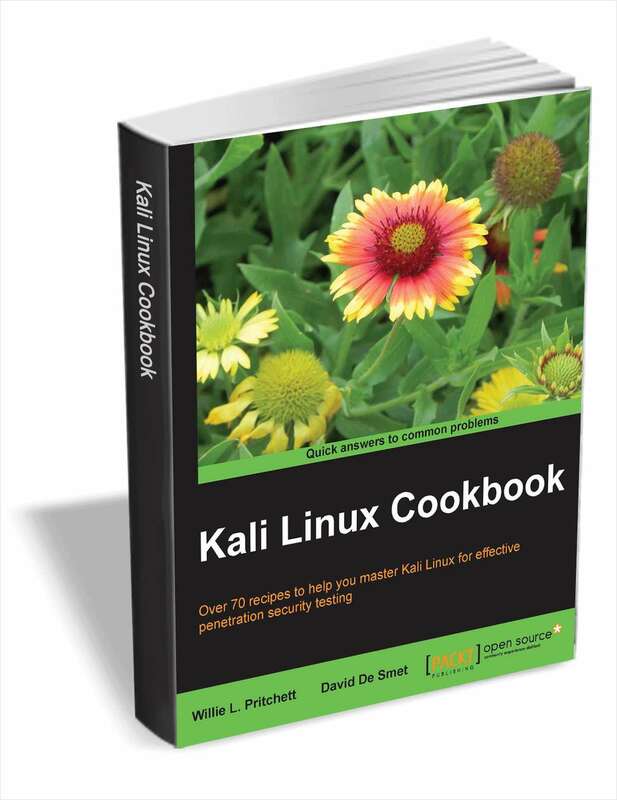 It is based on Debian testing, so it might brake as you go along with updates. Actually it works very well most of the time, but please don’t use it unless you have some experience with Linux. any body who has been potty trained by ubuntu can use this. i’ve been with them since the first release until the release of unity. been using linux since madrake 8.1. but with that said there was always a 50 % chance of rain as well with ubuntu for that matter any linux distro. I’ve no knowledge of linux and decided to try the LMDE. Although based on testing branch I’ve never had anything broken and I enabled all levels of updates no matter how unrecommended these were and no breakages at all. I did have a couple of broken packages but a click on “Fix broken packages” on Package manager and apply did the trick. 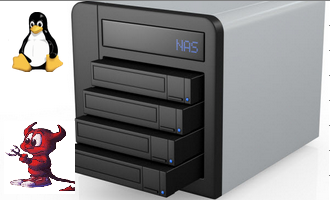 My system is fast, stable and so easy to use that I don’t miss OSX at all. I feel so free and happy, in total control of my system. Thanks Clem and LM community!!! One can’t just hide those debconf dialogs. It would be much worse. Even Ubuntu back when I used it didn’t hide them. The solution for that is: if you can’t figure what to do, look at the forum if somebody already asked about that or ask it yourself.